NEW DELHI – India is taking new steps to fight the occurrence of tax evasion by taxpayers who hide their assets and incomes overseas. On July 23rd the regional Tax Commissioner for Delhi Malsomi Sailo announced that the Income Tax Department of India has updated the tax return form for individuals for the 2012 – 2013 assessment year, and included a new section for taxpayers to declare their overseas assets and bank accounts. 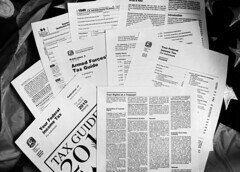 Applying from April 2012, all Indian taxpayers who have shares in overseas companies, have signing authority on foreign banks accounts, or hold property and financial assets outside of India will be required to complete the updated electronic tax return form ITR 2, and will no longer be eligible to submit a paper tax return. The Commissioner also announced that all individuals with incomes above INR 1 million will no longer be eligible to submit paper tax returns and will be required to complete the electronic forms. The two changes are part of a wider effort by the government of India and the country’s tax authorities to increase tax transparency and stamp out the occurrence of tax evasion. In May 2012, Pranab Mukherjee, who was the Finance Minister at the time, revealed that India’s tax authorities intended to bring in the updated income tax declaration forms during the year, and clarified that the revamped income tax returns will also need to be completed by anyone who has overseas holdings regardless of whether they have a taxable income in India or not.